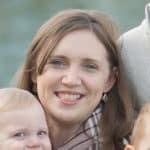 This is a sponsored conversation written by me on behalf of Redpack. The opinions and text are all mine. This Slow Cooker Pot Roast recipe is absolutely mouth watering! Seared roast beef slow cooks with crushed tomatoes and spices, and is served over pasta – perfect for both a weeknight meal or a holiday dinner! I realized as I was preparing this recipe that its been a LONG time since I made slow cooker pot roast for my family. 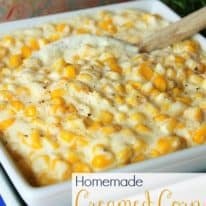 I’ve been on a casserole kick lately, mainly because they’re filling for at least 4 people, and I’ve had so many fun ideas to try out in hopes of sharing them with you all. 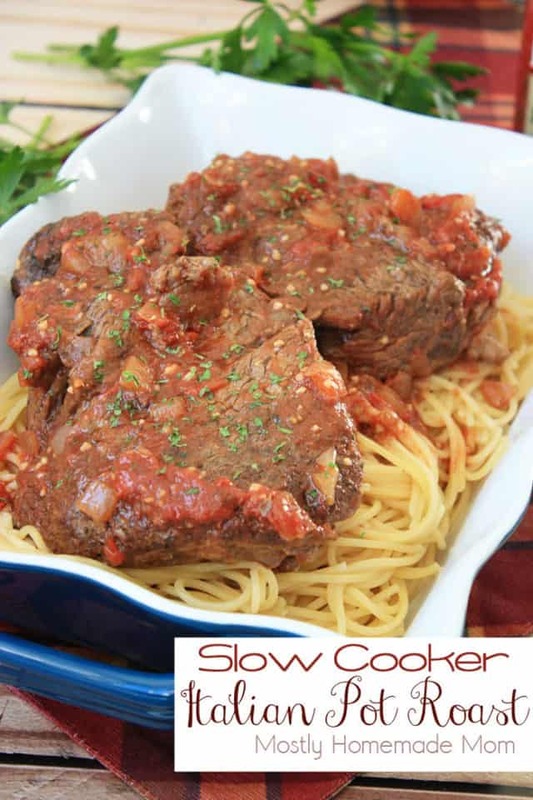 Don’t miss this tip for your slow cooker pot roast! Pot roasts are very easy to make and even before I become Crockpot-obessed, slow-cooking them was always my preferred cooking method. A large cut of beef like that is just made perfect and delcious cooked low and slow in a Crockpot. You might be tempted, however, to just throw the beef into the pot and go. Don’t do it! You MUST sear the roast before putting it in the slow cooker! I know, I know – I’m the girl that pretty much only shares recipes that you throw in and turn on. 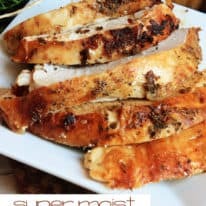 This recipe is one of the few exceptions to that rule! 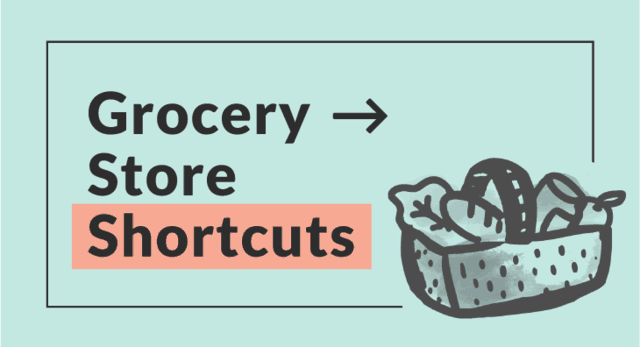 If you follow me on Instagram, I posted an IG Story about this tip so you might have heard this one. Before putting the chuck roast into the slow cooker, sear the sides for a few minutes on all sides. It’s really, really simple. Just heat up a small amount of olive oil in a skillet over medium – high heat. Put the roast beef in the skillet and let it brown. Flip it over, and let it brown the other side. Now for the smaller sides of the roast, use a good set of tongs and hold the roast onto the pan and sear the smaller sides as well. You don’t want to skip this step! 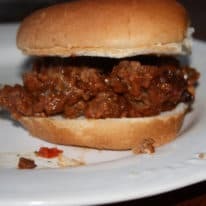 If you’re going for a shredded beef sandwich, than don’t sear. 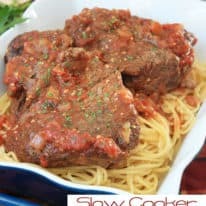 But for every other roast beef slow cooked, including this special-occasion Slow Cooker Italian Pot Roast, you really need to brown the sides to keep those delicious juices inside the meat. I really think the quality of the ingredients shine in this dinner. 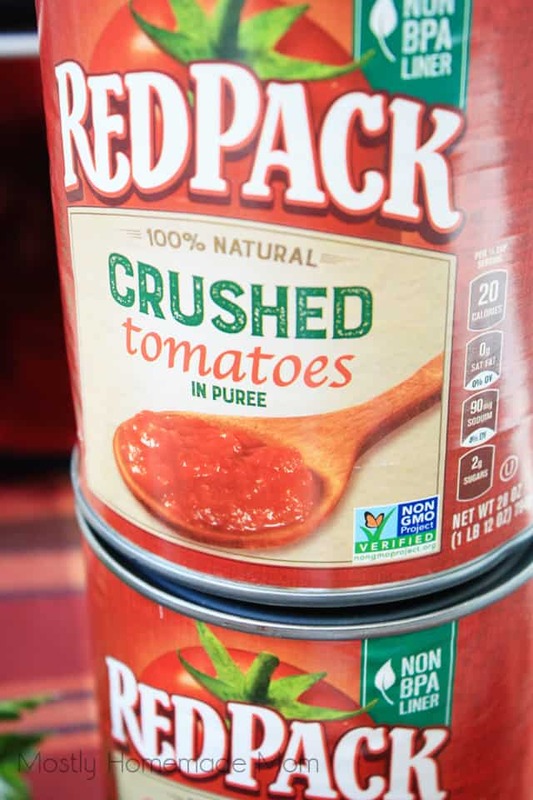 I highly recommend my favorite Redpack Crushed Tomatoes for this sauce, the quality of the tomatoes really shines through and tastes wonderful with the pasta as well! 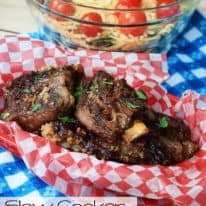 If you like this Slow Cooker Pot Roast recipe, please leave a star rating and a comment below this post! This Slow Cooker Pot Roast recipe is absolutely mouth watering! Seared roast beef slow cooks with crushed tomatoes and spices, and is served over pasta - perfect for both a weeknight meal or a holiday dinner! In a medium bowl, stir together crushed tomatoes, onion, garlic, balsamic vinegar, Worcestershire sauce, brown sugar, basil, parsley, salt and pepper. Set aside. Heat oil over medium high heat in a skillet. Brown chuck roast on all sides. Remove from heat. Spread half of tomato mixture into bottom of slow cooker. Place roast over mixture and then spoon remaining mixture over roast. Cover and cook on low 6 hours or on high 4 hours. Remove roast from slow cooker and allow to rest 5 minutes. 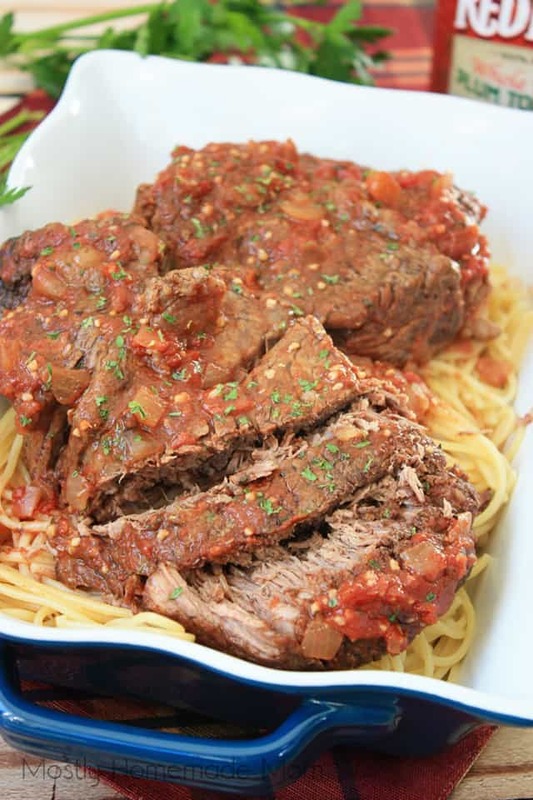 Serve spaghetti topped with tomato sauce and slices of pot roast. 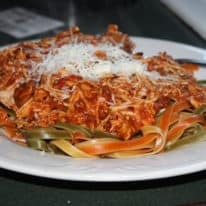 The sauce that remains after slow cooking for hours is absolutely delicious and perfect over thin spaghetti, or whichever type of pasta is your family’s favorite. 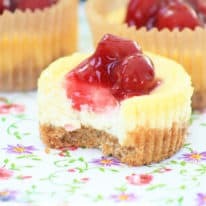 I topped ours with some extra dried parsley, but you could also do a sprinkle of grated Parmesan cheese on top as well. 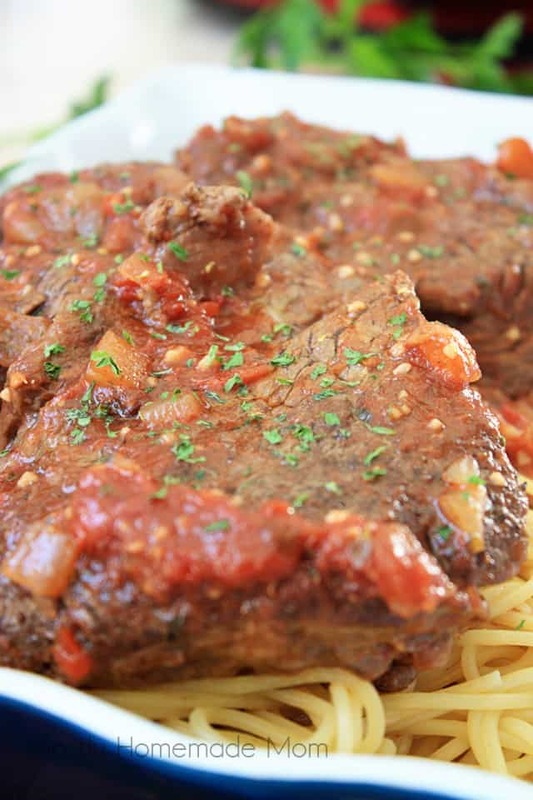 Redpack has always been my go-to brand for canned tomatoes and I absolutely loved the flavor of the crushed tomatoes infused in this Italian pot roast. 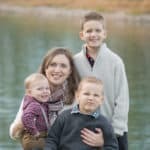 They are a family-owned company for over 75 years and they understand the value of doing things the right way. I love that they are non GMO project verified and are also packed in non-BPA lined cans. Redpack’s 14.5 oz products are actually moving to the Red Gold brand. Be sure to be on the lookout for the new label design on existing Redpack products during your next shopping trip to the grocery store.